Many events have shown that the selfmade program after the museum's opening hours is a significant element for the re-enactors. This is why the IRM will like to invite not only its participants, but also the visitors of the IRM to end the day with a nice little barbecue, some beer and a lot of conversation - all in the marvellous ambience of the Villa Borg. This "re-enactment-season-start-barbecue" will be a self-supported part of the event. 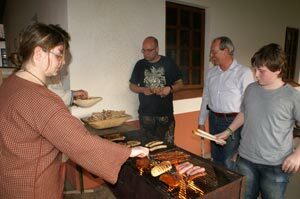 Barbecue grilles are available for everyone and will be on heat after saturday evening's lecture. Self-supplied goods can then be grilled, but some sausages and meat will be available (at small cost in profit of the Villa Borg supporting club) for visitors who spontaneously stick around. 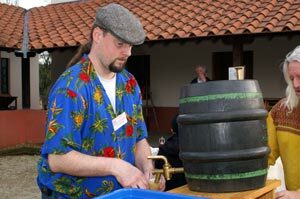 Some sources state that a couple of beer barrels from a local brewery may roll towards the Villa Borg. This time we will relish the taste of the Mettlach Abbey brewery's beer. If you like to have an overnight-stay: Some camping accommodations are available upon request. 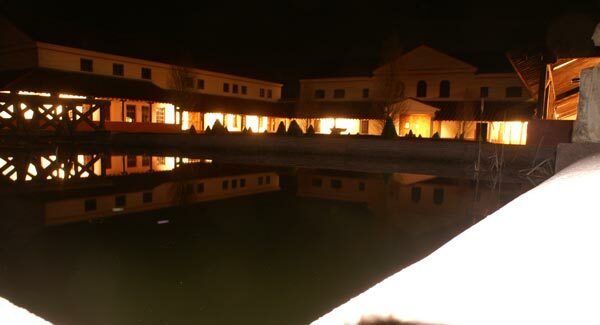 The Villa Borg's Tavern will stay open during our BBQ. So there is a 'professional option' for some nice drinks.